Update: It turns out you can get a Samsung HomeSync in the US... if you live in the greater Chicago area. AT&T is selling the devices at its flagship store on Michigan Avenue, and only at this store. We called up the location for information about pricing and availability, here's what we were told: the HomeSync is $299 (no contracts or anything), is currently in stock at that location, and you do not have to be an AT&T customer to purchase one. Samsung HomeSync™ is available at the AT&T Michigan Avenue Store in Chicago. 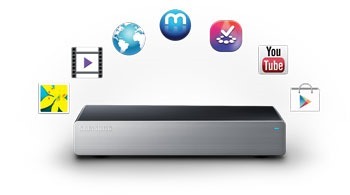 Samsung HomeSync stores, shares and streams mobile content across multiple devices, and brings the Internet to a TV screen, offering Web browsing, YouTube, apps, games and social networking. In addition, it provides 1 TB of secure storage for up to eight separate accounts and allows each user to sync in near real time, as well as upload and download mobile content. We have not announced further plans for U.S. availability of Samsung HomeSync. It never rains, but it pours. Just a few hours ago we reported that the Samsung HomeSync popped up on the manufacturer's registration page, despite being unavailable for purchase four months after its scheduled release. 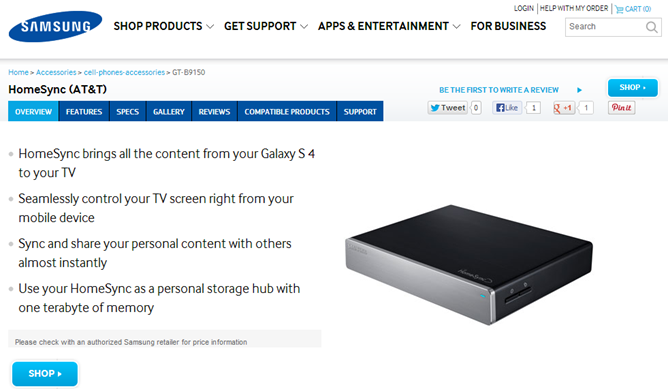 Now a page for the HomeSync has gone live on Samsung's online store, curiously marked as an AT&T model. Unfortunately there's no way to order one, or even see how much it will cost. 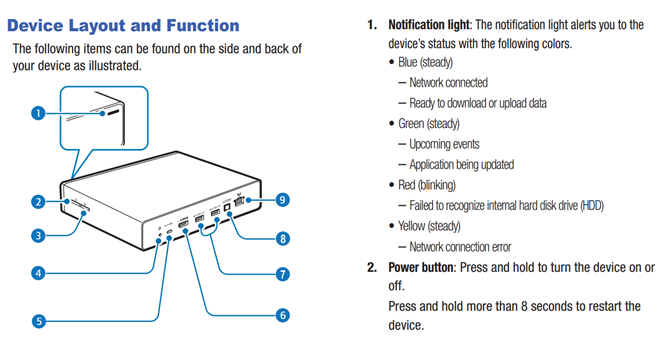 The HomeSync is Samsung's take on Google TV, which very emphatically is not a Google TV. It's more of a home media server, assuming that you're OK with all your media either being served up by a Samsung device or bought from Samsung's Media Hub service or Google Play. The set-top box runs a highly customized version of Android and includes a 1 terabyte hard drive for videos and apps. Video and audio can be mirrored from the Galaxy S4 via AllShare Cast (including content from the Play Store) and the box itself has access to the Play Store and Samsung's proprietary content. For a hands-on look at the HomeSync, check out our coverage from Mobile World Congress way back in February. The device manual (PDF link) also popped up on Samsung's site, but it yields no clue to price or availability. Considering that we've seen two major breaks on the web, I'd say that a launch is imminent. The curious mention of AT&T on the product page may imply that Samsung wants to promote the HomeSync in carrier stores. Price will be the make-or-break factor here. With the Chromecast and Roku already covering some of the HomeSync's media-centric functions well below the $100 level, Samsung will have to work the storage angle hard to make its alternative appealing.